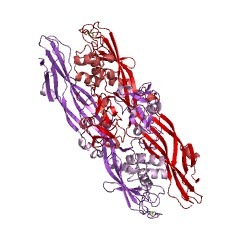 This family represents the pore forming lobe of aerolysin. 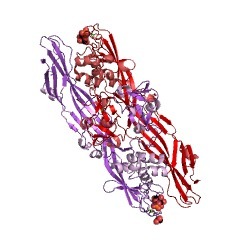 Aerolysin [(PUBMED:3584074)] is a cytolytic toxin exported by Aeromonas hydrophila, a Gram-negative bacterium associated with diarrhoeal diseases and deep wound infections [(PUBMED:7510043)]. The mature toxin binds to eukaryotic cells and aggregates to form holes (approximately 3 nm in diameter) leading to the destruction of the membrane permeability barrier and osmotic lysis. 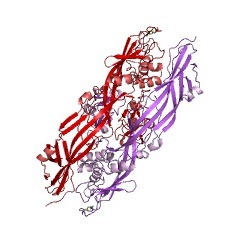 The structure of proaerolysin has been determined to 2.8A resolution and shows the protoxin to adopt a novel fold [(PUBMED:7510043)]. 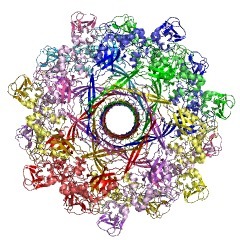 Images of an aerolysin oligomer derived from electron microscopy have helped to construct a model of the protein and to outline a mechanism by which it might insert into lipid bilayers to form ion channels [(PUBMED:7510043)]. 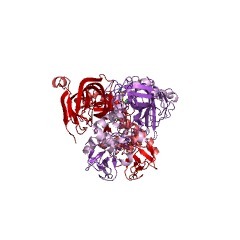 There are 81 Aerolysin domains in 81 proteins in SMART's nrdb database. Taxonomic distribution of proteins containing Aerolysin domain. This tree includes only several representative species. 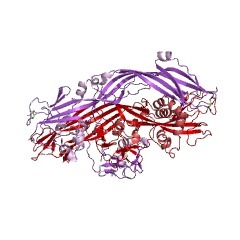 The complete taxonomic breakdown of all proteins with Aerolysin domain is also avaliable. Click on the protein counts, or double click on taxonomic names to display all proteins containing Aerolysin domain in the selected taxonomic class. 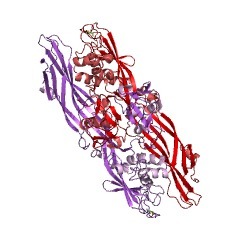 Structure of the Aeromonas toxin proaerolysin in its water-soluble andmembrane-channel states. Aerolysin is chiefly responsible for the pathogenicity of Aeromonashydrophila, a bacterium associated with diarrhoeal diseases and deep woundinfections. Like many other microbial toxins, the protein changes in amultistep process from a completely water-soluble form to produce atransmembrane channel that destroys sensitive cells by breaking theirpermeability barriers. Here we describe the structure of proaerolysindetermined by X-ray crystallography at 2.8 A resolution. 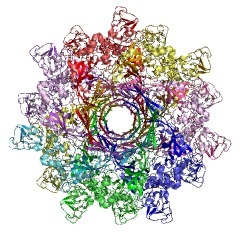 The protoxin(M(r) 52,000) adopts a novel protein fold. Images of an aerolysin oligomerderived from electron microscopy have assisted in constructing a model ofthe membrane channel and have led to the proposal of a scheme to accountfor insertion of the protein into lipid bilayers to form ion channels. Nucleotide sequence of the gene for the hole-forming toxin aerolysin ofAeromonas hydrophila. 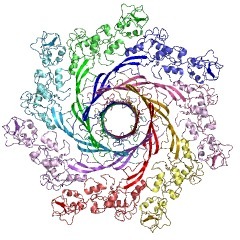 The gene for the hole-forming toxin aerolysin from Aeromonas hydrophilawas sequenced. 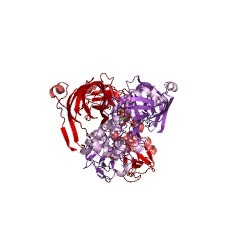 Although most of the sequence seems unrelated to that ofStaphylococcus aureus alpha-toxin, both proteins are very hydrophilic, andthey each contain a nearly identical string of 10 amino acids.